Now that spring has officially sprung, it’s time for spring-themed treats to roll in, which includes brand new coffee at Dunkin’. 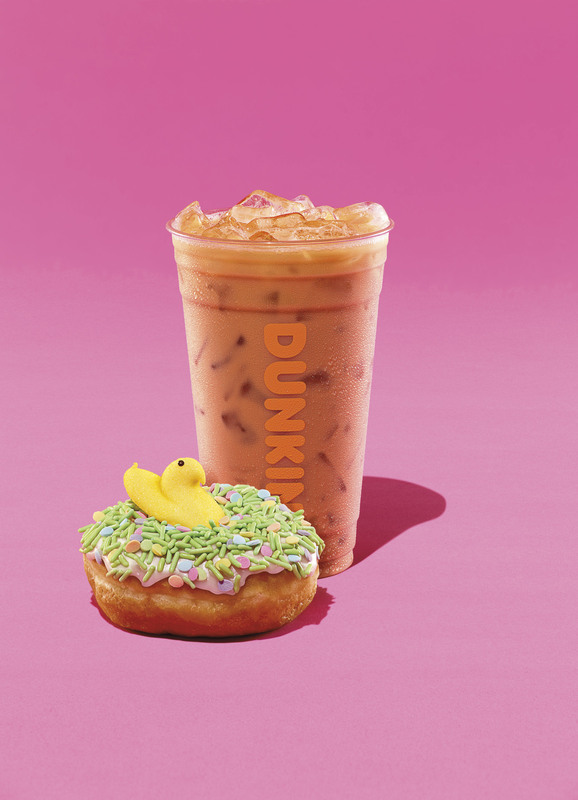 And if you’re already buying marshmallow Peeps from the Easter candy aisle at Target, you’re in luck, because starting next week, Dunkin’ Peeps coffee and donuts will hit your favorite chain. Starting April 1st, there will not only be a Peeps donut on the menu, but also Peeps-flavored coffee and espresso drinks, which you can order hot, iced, or frozen. So many OPTIONS. Although Dunkin’ originally served a Peeps donut in 2014, this year’s offering sounds a bit different. While that one was flower-shaped, the 2019 version will be a traditional shape with white icing, an egg-shaped sprinkle blend, and a mini yellow Peeps marshmallow chick on top. Just in case Peeps aren’t your thing, don’t worry—there’s another new spring treat being added to the menu that might be more your speed. Also coming to Dunkin’ is Chocolate Cherry Cold Brew, which sounds like a dream in a cup. You can start trying the new menu items, including everything Peeps, on April 1st, so the countdown is on.